The main building is a 9,500 sq. 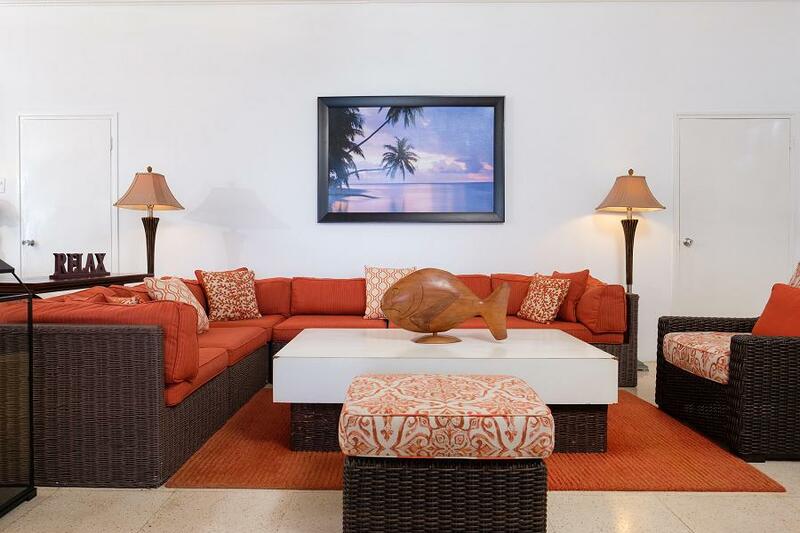 ft. 2-level structure consisting of 10 bedrooms, 11 bathrooms, main floor, mezzanine level, balcony and large lanai (deck) with spectacular view of Caribbean sea. The building features exquisite upscale furnishings. The main villa common areas include a large living room which opens directly onto multi-level terraces running the entire waterfront length of the estate. 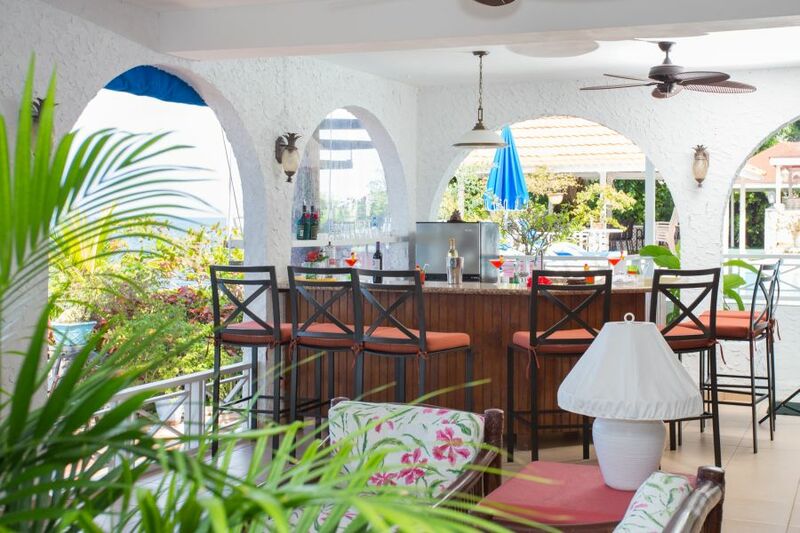 The villa features unique furnishings, art and antiques, featuring local Jamaican artists. 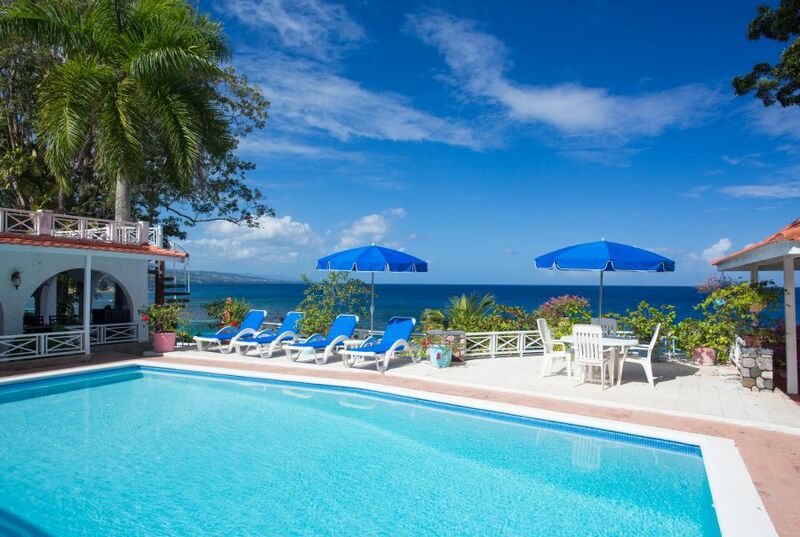 There are many pleasant, relaxing seating areas located throughout the main floor of the villa. The living room's media center includes Wi-Fi, cable TV, SONOS, BlueTooth, CD/DVD collection, and 500 book library, with a large comfortable seating area. The main dining room is directly off the living room and overlooks the sea. 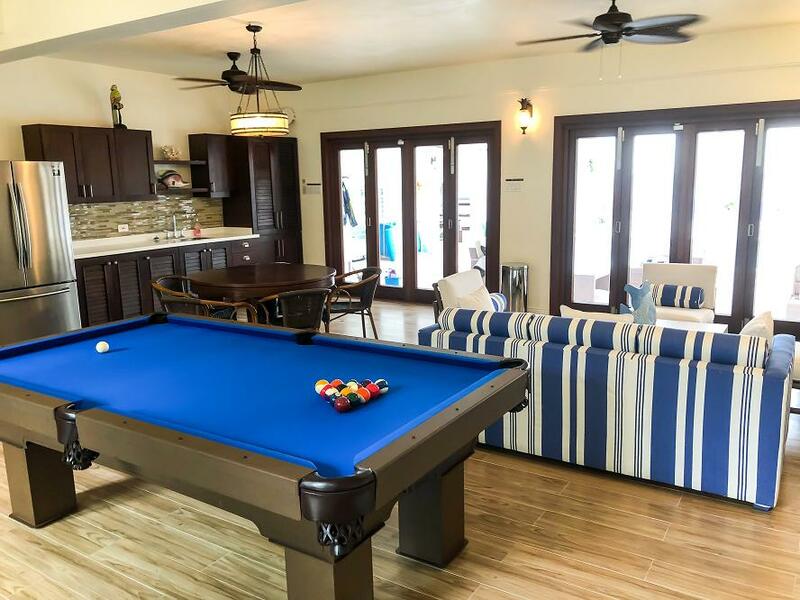 A large game room off the pool and exercise room with pool access are also common areas.